From The Vault: Do Bengals owe their name to a stove? 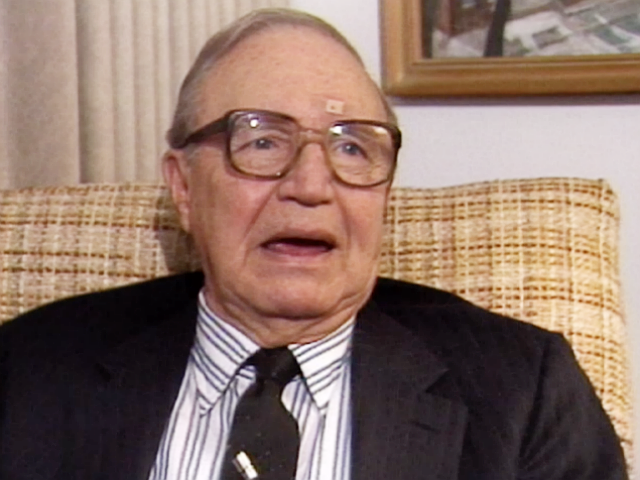 Click on the video player above to watch Hal Pennington reminisce about the early days of pro football in Cincinnati in a 1987 interview with WCPO's John Popovich. CINCINNATI – To hear Hal Pennington tell it, the Cincinnati Bengals, founded by football great Paul Brown some 51 years ago, owe their name to a stove in Pennington’s mother’s kitchen. 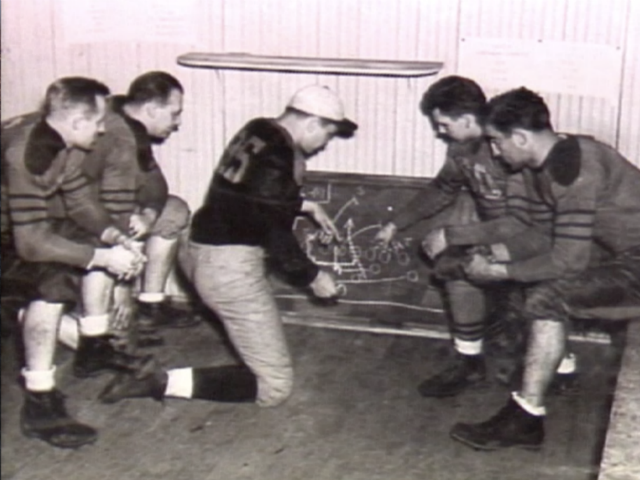 The story goes back 81 years to when Pennington formed and coached the original Cincinnati Bengals in 1937 – when Brown was still coaching at Massillon Washington High School in northeast Ohio. Pennington’s original Bengals weren’t a great success when measured in wins and losses, but they laid the groundwork for better seasons that followed, not to mention a 50-year legacy in orange and black. 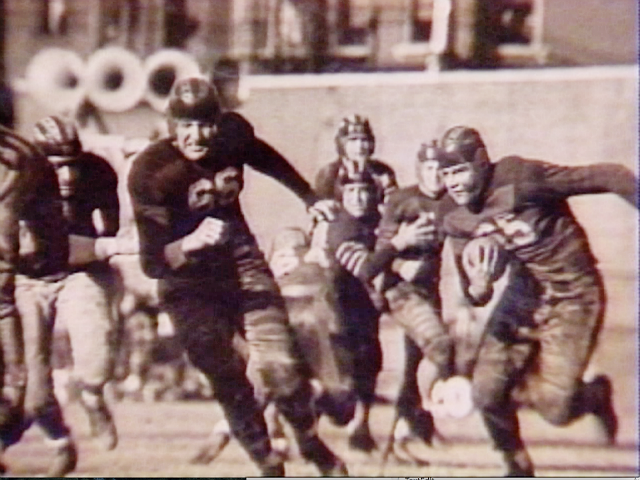 In 1937, pro football was still in its infancy – the National Football League had started in 1920 – and regional leagues that spawned those original NFL teams spread to new cities like Cincinnati. 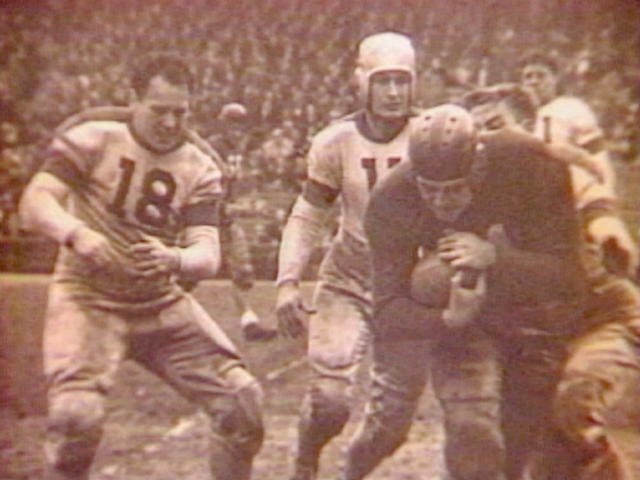 In fact, the Queen City had two pro teams – the Celts and the Reds – before Pennington’s Bengals came along. Pennington had coached amateur teams before he was hired to coach a new Cincinnati pro team in the American Football League. The team played at Crosley Field, and Pennington recruited college stars from all over the country with a promise of a full-time job and $150 per game. Pennington said a few newspaper writers suggested that fans pick the team name, but he didn’t like Cincinnati Elephants and other names they came up with. So he picked a name out of his mother’s kitchen. A Pennsylvania stovemaker, Floyd, Wells & Co., used the Bengal trademark at the time. “I looked at the old range she had,” Pennington told Popovich, “and right on the range there was a picture of a big tiger with his teeth snarling and everything, and underneath it said, ‘Bengal.’ And I said, ‘Bengal? What the hell is a Bengal?’"
Soon his players were wearing a logo of a snarling Bengal tiger’s face on their uniform chest, and a large logo was painted on sign in front of the Crosley Field scoreboard. Cincinnati fans came out to watch the Bengals play the Pittsburgh Americans and the New York Yankees in the same ballpark where the Reds played the Pittsburgh Pirates and the New York Giants. In 1937, The Bengals played a night game against the Americans two years after Crosley hosted baseball’s first game under the lights. Early football was not for the weak or weak-hearted. Suffice it to say there was no concussion protocol. Players went both ways. Most players wore leather helmets, but some didn’t wear helmets at all. It wasn‘t because they were macho, Pennington said, it was because some couldn’t afford to buy them. Pennington admitted to Popovich that he was a sore loser, and his team lost a lot. 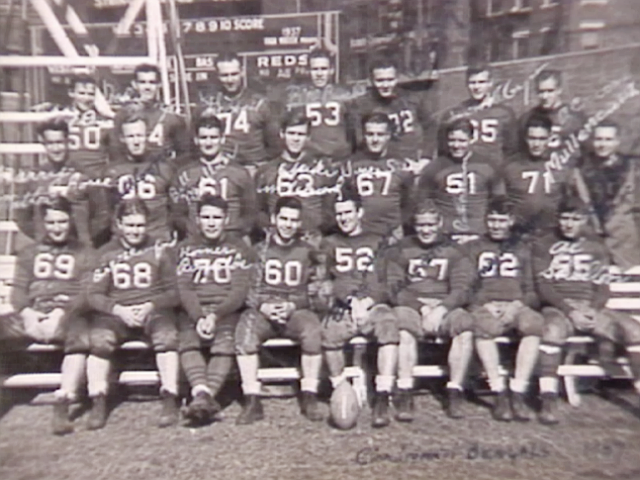 The 1937 Bengals finished 2-4-2 in their league and 1-1 in non-league games, and by the next season, Pennington had returned to the amateur team he left and the Bengals’ league had folded. In 1938, the Bengals had a new coach, Dana King, and they were playing as an independent. A familiar player, Xavier University star John “Socko” Wiethe, joined the team. Wiethe would go on to make All-Pro in the NFL. The Bengals moved their home games to Xavier in 1938-39 and had two straight winning seasons, compiling an overall record of 13-3-2. But things fell apart after that. Over the 1940 and ’41 seasons, the Bengals went 2-12-2. Attendance was sparse and eventually “home” games were moved out of town. The Bengals had also been jumping from one league to another, returning to a new American Football League in 1940. But that league folded following the Japanese attack on Pearl Harbor, and the Bengals and pro football ceased in Cincinnati until the 1960s. That’s when Brown, who had led the Cleveland Browns to seven league championships in 10 years between 1946 and 1955, set his sights on obtaining an NFL franchise for Cincinnati. Brown was out of football, fired by Browns owner Art Modell in a power struggle in 1963. Ohio Gov. James Rhodes recruited Brown to apply for a NFL expansion franchise for Cincinnati in 1966. The NFL gave franchises to Atlanta and New Orleans, so Brown took an AFL franchise with the promise that the two leagues would merge in 1970. When it came time to pick a name for Cincinnati’s new AFL team, there was another contest. Buckeyes was a popular choice, but it was already taken by Ohio State. 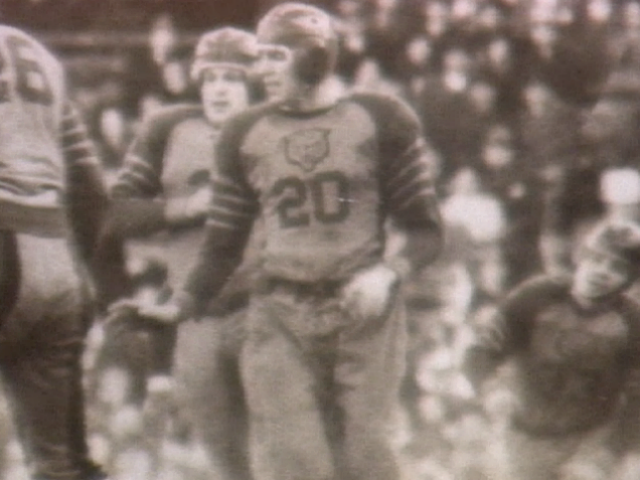 Brown picked Bengals to link his team with the history of pro football in Cincinnati. He went on to a legendary career as an amateur baseball coach in Cincinnati. He switched to baseball in 1955 when his own son couldn’t make a Knothole team and he decided to form his own team. When Pennington gave up coaching 36 years later, he had won over 1,500 baseball games, captured six national titles and sent 11 players to the major leagues, including former Reds stars Dave Parker, Ron Oester and Buddy Bell. He had an .868 winning percentage. READ more about Hal Pennington.